The big day is just around the corner! It’s not even December yet but we’re willing to bet you’ve already been subjected to at least a month of Christmas songs. With the Black Friday rush over and shopping for Christmas gifts still raging on, we’re reflecting on what gifts were making people flock to the likes of Woolworths, Virgin Megastores and Comet back in the day. Here’s what was selling like hot-cakes in 1987 – the year of Thatcher, Rick Astley and terrible, terrible hairdos. The cute little animal families were the source of fun for millions of children back in the 80s. 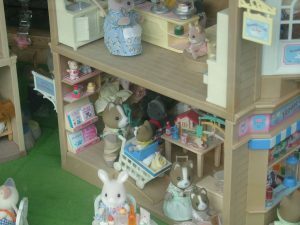 In the world of Sylvanian families, you could tell your own stories using a world of different collectible homes, workplaces, settings and other dioramas. There were all sorts of accessories that you could add to their homes too, with a huge selection of clothes and furnishings available that would leave any completionist bankrupt – or, rather, the parents of one. These adorable little creatures and their quaint homes might seem rather British – like something out of Kenneth Grahame’s The Wind in the Willows – but Sylvanian Families were actually created in Japan by games company Epoch. Known in Japan as ‘shirubania famirī’, the first wave of Sylvanian family members were rolled out back in 1985, but it was in 1987 when the adorable figurines dominated the Christmas-time toy sales in the UK. Nowadays Sylvanian families are still going strong, with plenty of new characters, homes and even vehicles for a whole new generation of child to discover – still as cute and cuddly as ever. These bad boys were a craze for most of the 80s, with ’87 being no exception. It’s not hard to see why; it’s usually the simplest things that become the best crazes. The pogo ball design was about as simple as you could get, it was basically just a ball with a plastic disc surrounding it. Squeeze it between your feet and see how high you can bounce. The original pogo ball was actually created long before the 80s by two men from Belgium. Originally called the lolo-ball, this popular toy first saw release back in 1969 and is still mass produced by Hasbro to this day. Video games consoles in 2017 can boast 4K definition capabilities, photo-realistic graphics, voice recognition and a plethora of streaming services like Spotify, Netflix, Amazon Prime and many more. 30 years ago all a video games console could do was play chunky cartridges, and that was enough to amaze people worldwide. 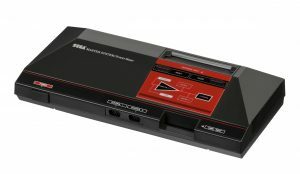 Although games consoles had already been around for quite a while, 1987 saw the European launch of the Master System; one of the earlier gaming systems developed by world renowned games company SEGA. The cartridge system played classics such as Alex Kidd, Wonder Kid, Altered Beast and even an early incarnation of what would become SEGA’s poster child – Sonic the Hedgehog. SEGA would go to become Nintendo’s top competitors throughout the 90’s, until they ultimately pulled out of the console wars with their last financial flop, the Dreamcast. Nintendo won the console wars in the end, but the Master System enjoyed commercial success throughout the UK and the rest of Europe – becoming one of the hottest toys of 1987. Can you remember what you got Christmas morning of 1987? What were you playing with 30 years ago? What will you be buying your little ones this Christmas time? Let us know in the comments!